Please Call (910) 279-1303 for More Information. Your fractional ownership gives you four weeks per year on Bald Head, one in each season, summer, fall, winter and spring. As each year passes your weeks rotate forward so over time you will enjoy every week of the year, including special holidays like July the Fourth. It is truly the most cost-efficient way to enjoy ownership at the beach. Research shows that most property owners spend no more than 6 weeks a year on the island. Yet they are paying far, far more. Purchasing a fractional ownership at The Marsh Harbour is not like purchasing a timeshare in a traditional timeshare community. Your fractional ownership gives you deeded fee-simple title to your fraction of The Marsh Harbour. You are an owner. Fractional ownerships are, however, subject to the same rules and guidelines developed by the North Carolina real estate commission, particularly regarding disclosures such as The Public Offering Statement. Financing is available to help you obtain your fractional interest. Your share is deeded interest with a fee-simple title that you can pledge as collateral for a first mortgage. Since your fractional interest is a valuable real estate asset, you may want to pass it on to your family. If you do, you can include it in your will. If you cannot use your room or suite during any of your fractional period, you can rent it and have the income go directly to you, less a rental/management fee. 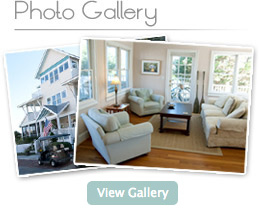 Our management company, Bald Head Island Rentals maintains a rental website and handles all of the details for you. You may also choose to rent your weeks to others yourself. Many fractional owners purchase two or more units to increase their time on Bald Head or to increase their real estate investment. By purchasing adjoining rooms or suites in the same fractional period you will be able to extend your living space and accommodate family or friends on your vacation. Friends and family members may enjoy vacationing together; yet also have their own privacy. Should you choose to sell your share you can do so like any other real estate investment. The covenants of The Marsh Harbour Association provide that you must first offer it to the developer or other members of the association. Fellow owners of fractional interest are usually a great source for buyer candidates. If you have considered creating a fractional ownership property in a single-family home, you may be aware already of the need for partnership agreements, budgets and covenants to maintain and govern the property and the need for clear rules and regulations so that all owners may enjoy the property equally. At the Marsh Harbour, we’ve already done that for you. Our management company prepares budgets and administers the covenants. Your maintenance fee covers all taxes, insurance, maintenance, regular refurbishing, and amenities. As a fractional owner you will have membership and voting rights in the association. All you need to do is enjoy your vacations on beautiful Bald Head Island. In most shared ownership arrangements, the Home Owners Association is completely controlled by the developers, giving owners little or no control over decisions. At The Marsh Harbour, our board president, a fractional owner, is intimately involved in decision-making affecting owners, including budgeting and planning. He regularly communicates directly with the owners addressing any suggestions and concerns. The developers understand that our owners are part of our team and make every effort to accommodate requests for the mutual benefit of us all. Fractional sales are offered through Landmark Sotheby's International. The Marsh Harbour Fractional Development is registered with the NC Real Estate Commission as a time share project and is not valid in any state where time share registration requirements have not been met. For more information or a copy of our public offering statement and related time share documents please contact Rod Hyson Sr. at rodsr@capefearrealty.com (910) 279-1303 OR Rod Hyson Jr. at rodjr@capefearrealty.com (910) 279-2612 OR Julie Minter at julie@bhiresort.com or (910) 368-7116.